Self-Assessments is a way to learn more about yourself: what you like, what you don't like, and how you tend to react to certain situations. 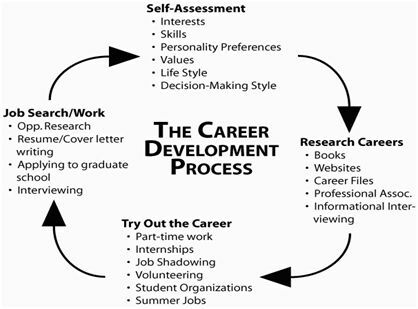 Learning about yourself is the first step in finding a good career fit. Assessments are tools to help you explore your skills, interests, values, or other traits. These traits are then matched to a broad list of careers. Who developed it? Are they a trusted source? Has it been reviewed by a trusted source? What kind of results can you expect? How can they be used? Will you have to pay a fee to use it or get your results? Click on the link below to complete a self-assessment.